Hyderabad: To create awareness on hip problems, Sai Institute of Sports Injury and Arthroscopy (SISA) conducted a workshop on ‘Hip Preservation’ here on Sunday. Speaking to press persons, doctors said, young adults and children were not aware that pain in thigh or knee may sometimes indicate hip problems and any delay in diagnosing and treating the problem will lead to irreversible damage and arthritis of the hip joint. Prasad Gourineni, a clinical associate professor from Chicago who took part in the workshop said, hip pain has become common even in young people and is usually not severe in early stages and the diagnosis is not made readily without advanced training to doctors. “Most hip arthritis is secondary to shape alterations of the bones. Several of these alterations start at a young age while a few conditions start in childhood. We now have knowledge and information to identify these alterations early and treat them”, he said. 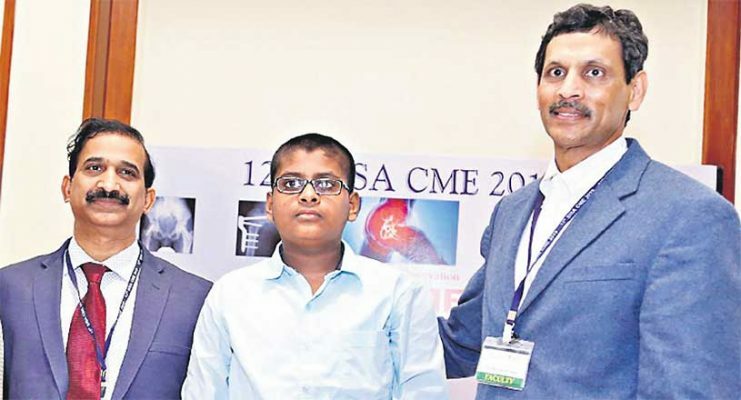 Raghuveer Reddy of SISA Centre said, if hip preservation surgery is performed in young patients, it will arrest arthritis and also helps in avoiding or delaying total hip joint replacement surgery in future. “Well known child diseases such as congenital dislocation (being born with dislocated hip), septic arthritis (infection of joint) and other new problems related to hip are known to cause shape alterations”, he added.